We offer our clients wide range of Cycle Labels. Our range of cycle Printed Labels is widely appreciated by our clients which are situated all round the nation. We offer our range of cycle labels at most affordable prices. We are indulge in manufacturing the Labels for Cycles. The range of cycle labels which we manufacturer is widely appreciated by our clients. We use good quality paper to manufacturer these labels. 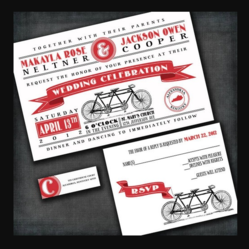 We are a reliable name offering custom-designed Multi Color Bicycle Labels. These labels are customized as per the specifications of design, color combination, pattern, and dimensions defined by client. Usage of optimum grade materials and modern holography technologies ensure quality at par with global standards. We have specialised label stock for Bicycle Rim Labels/Stickers. The adhesive & physical strength of Label stock along with colour used is such that it does not comes out even dipped in water for 24 hours. Bicycle Rim Labels/Stickers offer excellent flexibility and bonding with continuous changing contour of Bicycle Rims and adds to beauty of overall bicycle. Ours is a client-centric organization, engaged in manufacturing, supplying, trading, wholesaling and retailing Bicycle stickers. To choose from different colors, designs and shapes, we provide our clients these labels. P.ent is specialize in making all types of labels and packing material for cycle Industry. We offer extremely latest sticker labels for bicycles and tricycles. Having extremely talented team of professional designers we offers latest designs which helps in making your product more customer attractive. We are passionate about everything to do with the bicycles. We customize / personalize the decals to make it coolest, the world has ever seen. Our decals/labels are printed onto clear waterproof film. These labels are easy to apply. We are amongst the most reputed names in the industry, offering Sticker For Bicycle. Banking on our enriched industry experience, we are able to supply bicycle labels. We are enormously praised in the market for offering Bicycle Labels. 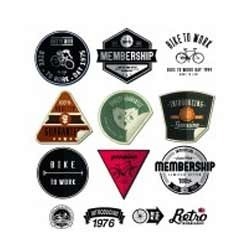 We are a top notch supplier of Bicycle Sticker. We are engaged in offering Bicycle Labels. We are one of the specialized in supplying Cycle Sticker. We are a top-notch organization, engaged in providing Cycle Sticker. We are one of the largest supplier of Cycling Stickers. Our reputed entity is engaged in supplying Cartoon Bicycle Stickers.